Q: I work with mineralogical data, some of which is used for rock classification. Is it possible to define field classification boundaries, other than those in the soil plot, so that rock classifications can be plotted? 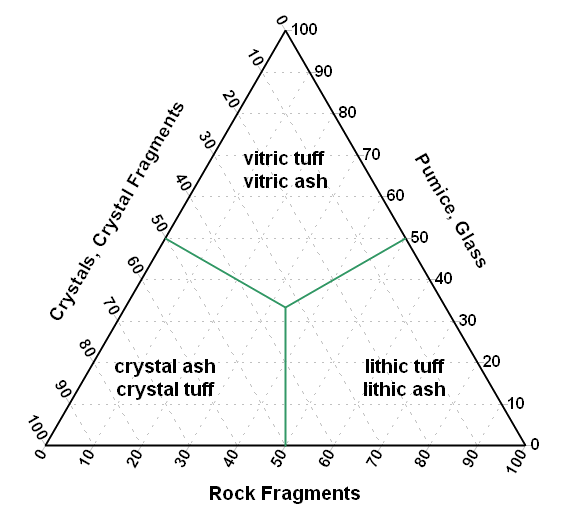 I am using the standard IUGS rock classification diagrams for felsic, mafic and ultramafic rocks which are based on three minerals each. I have tried plotting field boundary coordinates in X-Y space and then selecting triangle plot, but the line disappears. 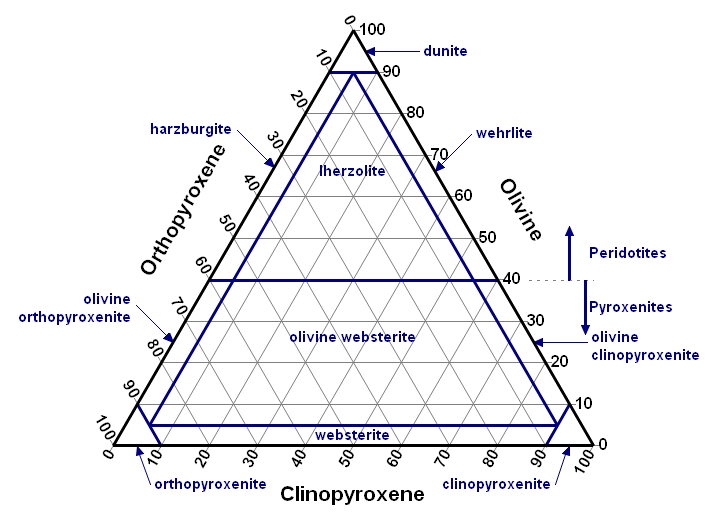 A: In general you can plot any sort of boundaries and/or labels you want with a ternary plot (aka triangle plot, depending on what world you work in), and your "but the line disappears" is easily explained. But more on that below. 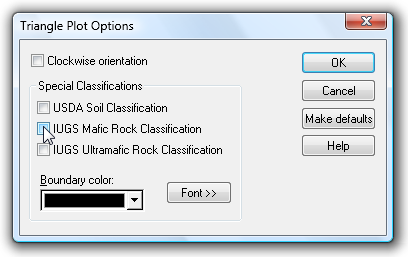 First, yes you can plot mafic and ultramafic rock classifications starting with version 2.2.6. As to the more general question, you can create whatever boundaries and labels you want, save those to a DPlot file, then later open that file and import and/or add that data to your file. Your "but the line disappears" comment is due to a default setting with regard to triangle plots. Take a look at the General command on the Options menu. Most likely the Always force symbols on/lines off for triangle plots option is checked. That option only applies to new data; you can either uncheck that option or later select the Symbol/Line Styles command on the Options menu to use a line style other than "None". You can easily enter these points using the Edit Data command on the Edit menu. Once this graph is created you can add your own data with the Edit Data command on the Edit menu or, if your data exists in a file, with the Append command on the File menu (as opposed to the Open command). The DPlot file for this picture is available here (right-click and select Save As). This page contains a single entry by David Hyde published on June 4, 2009 11:17 AM. Area enclosed by a polygon was the previous entry in this blog. Finding 0.2% offset strain is the next entry in this blog.